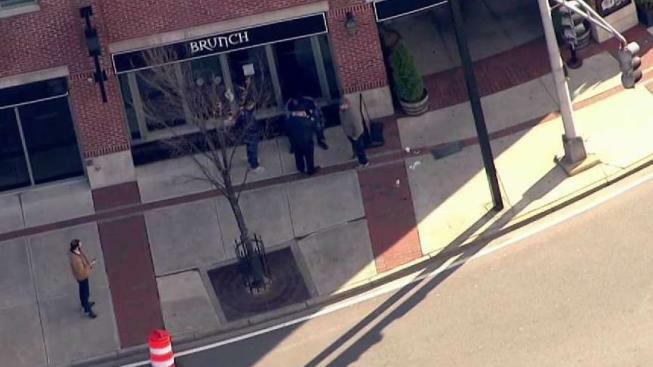 Police said they are still searching for a suspect in a Friday morning bank robbery in Boston's Charlestown neighborhood. The robbery was called in just before 11:30 a.m. Police have not released the name or location of the bank involved. Soon after the robbery, police said they had detained a male person-of-interest, but he was released after questioning and the suspect remains on the loose. Aerial footage from NBC10 Boston's Sky Ranger helicopter showed numerous police vehicles in the area.